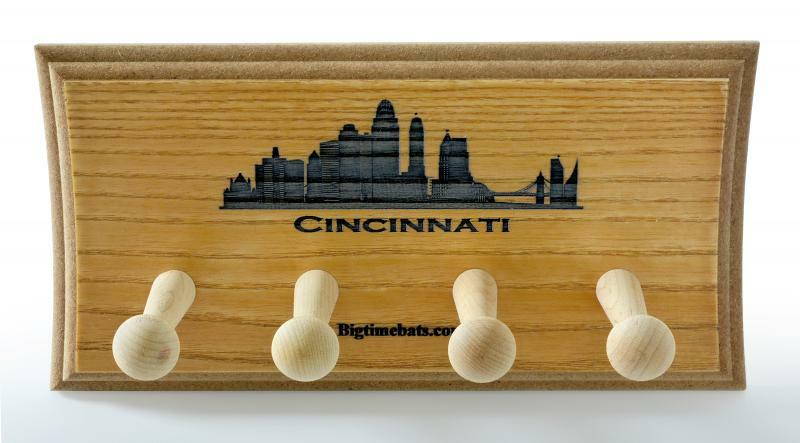 This is a custom Two Bat Display Rack designed especially for Cincinnati baseball fans. 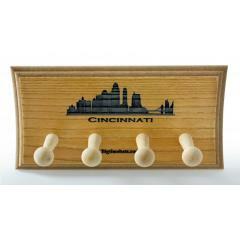 The NEW Cincinnati "Skyline" 2 Bat Display Rack is the perfect complement to your collectible bats. This new 2 Bat Display Rack is laser engraved and comes with the hardware necessary to hang it on your wall for displaying your favorite commemorative Reds Bats.